I can honestly say that I’d never visited a tank museum before and so, had nothing to compare with the museum’s sweeping statement: “The world’s best collection of tanks”. Locating the signs will earn you 10 points in my book as I couldn’t find any until we were almost upon museum’s entrance! Before reaching the entrance, you will drive through the beautiful Moreton forest, which in areas is scarred heavily with massive tank tracks and is a hint of what’s to come. This forest is still used as a live practice range for tanks and the Bovington Army Camp, which was established in 1899 and still based in this area. Also at this point, there are a couple of tank crossing road signs, sadly I didn’t take a photo of one but will next time I visit. Finally arriving at the Tank Museum’s car park, there’s ample room for Reg, a fleet of vehicles, and more. Parking isn’t an issue here and is free, which is almost unheard of in England. On the other hand, the entry to the museum isn’t free. After you’ve got over your heart palpitations at paying the museum’s £13 entry fee, you can enter and enjoy the museum at your leisure. To be fair, the entry ticket is multiple entry and valid for 365 days. I wasn’t quite sure what to expect at this museum. Apart from only ever seeing tanks in war movies or perhaps the odd sad one in SE Asia or Poland, I had visions of a bunch of old rusted out, buckets of scrap metal. Leftovers of a distant legacy of some war or another – tragic forgotten remnants in a pokey dark and dingy museum. But this museum is anything but small, dark, and dingy! Even for an untrained eye that hasn’t a clue at what it’s looking at, there’s an exceptional range of tanks! So much so that when the film Fury (starring Brad Pitt) wanted original Tiger and Sherman tanks in 2014, the directors borrowed these 70-year-old tanks from this museum. But not without its own set of rules to preserve these ancient relics and chaperoned by a handful of loving tank helpers, throughout the making of the movie. Expect to spend at least a good day here visiting the 6 large halls with over 300 vehicles – even more, if you try and read all the available and interactive information. I can now appreciate the multiple-entry ticket’s cost. 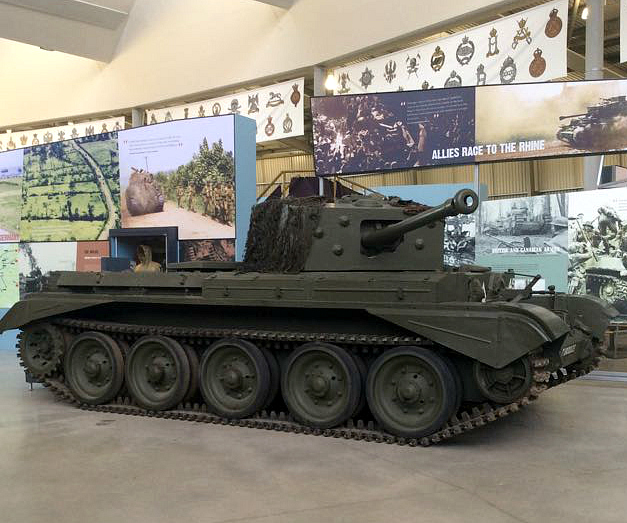 The museum not only concentrates on the history of tanks’ armoured warfare from WWI to the present day, but also the history behind a tank’s crew, which is extremely informative and tastefully curated throughout all exhibitions. This background information helps to re-create the real stories about man and tank, and provides an intimate understanding of what it must of been like to live in this chunk of metal, 24/7. Time and space has been dedicated on providing coverage to recent conflicts such as the Iraq wars and Afghanistan, with a focus on the human spirit and lives lost. 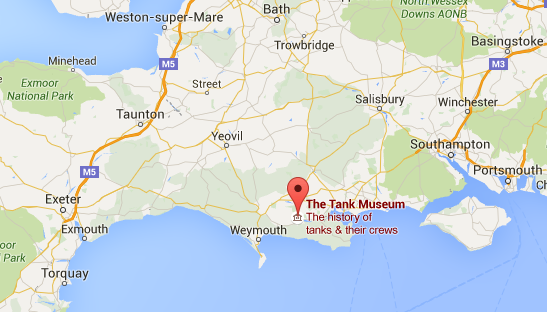 I thoroughly recommend this museum, even if you don’t have an interest in tanks or not even a history buff. You’ll be surprised at just how much real history is living in this museum – it’s just so fascinating. To give your brain a rest from information overload, a restaurant (not cheap) is also on site and serves meals, snacks, hot and cold drinks. A small café stand also provides a short break in one of the halls. The large gift shop is very expensive but there are loads of great Airfix models, books, sweets, and war trinkets amongst other gifts and memorabilia. 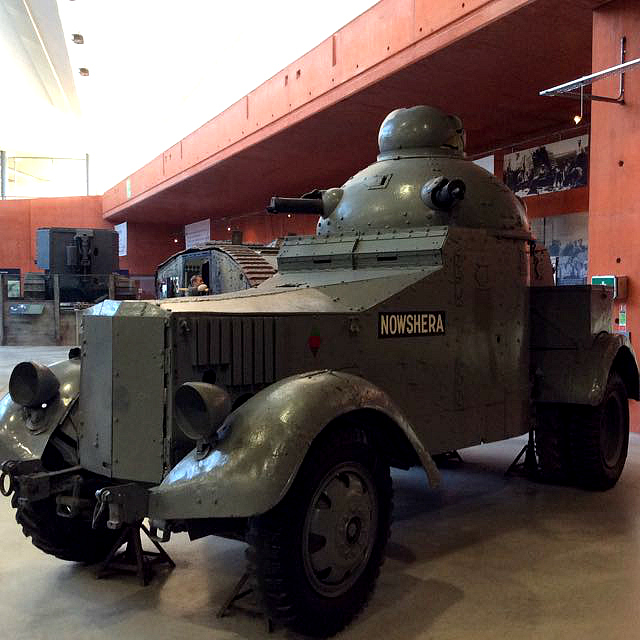 Rest assured, once you visit this museum, you’ll agree completely with the museum’s claim of “The world’s best collection of tanks”! To add to the rest of this statement should be: “and best preserved”, as this museum really is a labour of love and a testament to all the hard preservation work – commendable. Sadly, I forgot my camera and took photos at this museum on my cheap Chinese Android phone. The phone somehow managed to acquire a virus and required a factory reset so I lost all my photos. The photos in this blog have kindly been provided by my partner but as I like to use my own photos in my posts, I’ll update these photos once I re-visit the museum. Visit my Nilla’s Photography England gallery for more images. More posts on the United Kingdom. Tank on second picture looks like car for civils in case of granate fall. Where are weapons on tank number 3? Sherman Firefly tank looks like from Fury (movie) with Brad Pitt on them. 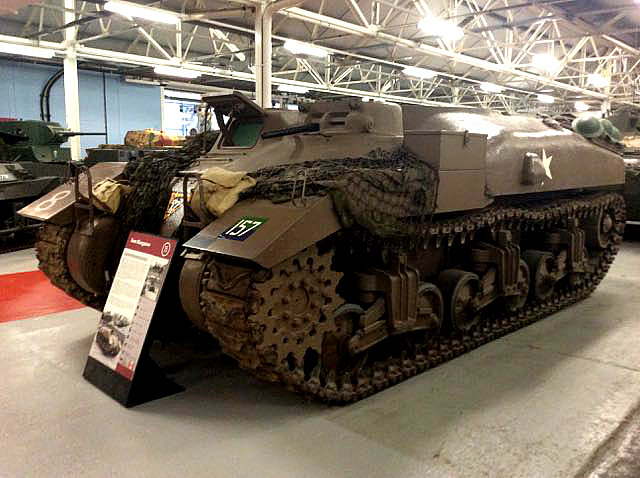 Another name for this tank is the Universal Carrier as it carried various weapons. 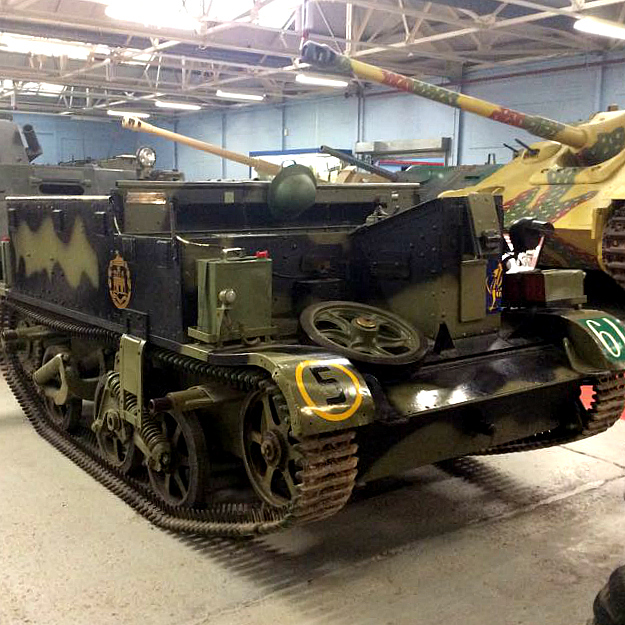 They also served as signals vehicles, armoured ambulances, gun tractors or artillery observation posts – best known as patrol or scouting vehicles. 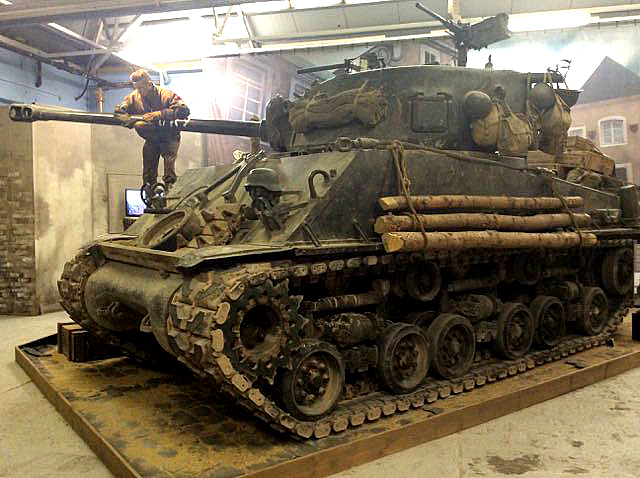 Yes, that is the original 70-year old tank that was used in the movie and had a fleet of maintenance guys on set to ensure the tank wasn’t damaged at all. How do you know all that things about tanks. Near me is one war musiuem on open with only tanks. I had to ask my partner as he has a better memory than me for tanks. I thought they probably removed the gun for safety reasons but also as it took up too much room in the space they had this tank. I learnt a lot about tanks. It doesnt seems that they remove something. Very interesting post. I did not knew about this museum, although I love museums. In Finland, we have similar museum in which I have visited, but never made a post. Actually it was a very interesting museum and I really enjoyed it there; I’m going again when back in the UK in May (I’m currently in Thailand). I need to re-take my photos and not delete tham this time! Back-ups of photos is very important. Once a month I take back-ups and when on travel, I use usb memory stick (16 gb). It is easy and fast to use.